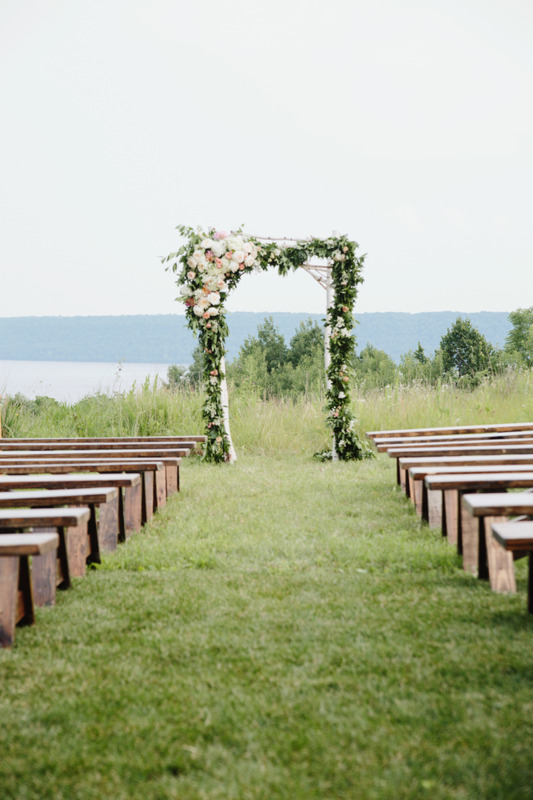 This bright and colorful summer wedding took place last July in Maiden Rock Wisconsin among whistling prairie grasses and rustling pin oak trees. 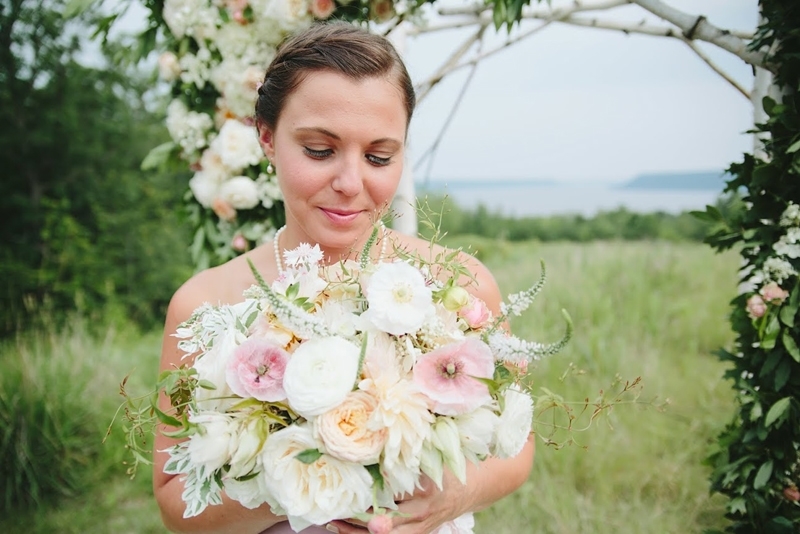 Sweet and cheerful Meg, who is a teacher, married stoic architect Sam high up on the bluffs overlooking the Mississippi River and it was completed with a Native American blessing. Meg loves color and we tied it all together with the architecture and color of Sam’s parent’s home. We incorporated foraged pin oak branches into the soft floral on the birch arbor and also on the farm tables at the reception. Our homegrown poppies, blackberries (thanks Maddy!) and lavender added to the bright color palette set off by the dark wood. Thanks to Rita with Premier Planning for the flawless coordination, Girl Friday for styling and Justina Louise Photography for the photos!